Belgium dispatched England 1-0 on Thursday evening to secure the top-spot finish in what was a low-profile affair at Kaliningrad Stadium. With the dubious prize to aim for given the runners-up seemingly have the easier route through the tournament, none of two sides actually wanted to win the match, but it was Adnan Januzaj who made the difference at the end securing the Red Devils a 1’’ per cent record in the Group G.
They will now take on Japan in the last 16 round, but should they pass the Asian outfit, they are to play Brazil for the place in the semifinal. Adnan Januzaj’s maiden goal for the national team secured the top-spot finish for the Red Devils ahead of runners-up England. They will now have an easier task in the last 16 round, but potentially a much tougher quarterfinal tie against Brazil. Japan only edged their way to the knockout phase on the fair play rule on the expense of Senegal. Samurai Blue failed to score in five of last six games with the European opposition at World Cups and they will head into this as massive underdogs. Japan only squeezed into the knockout stage thanks to the fair play rule. They had the entire destiny in their own hands, but just could not create anything in the final third against Poland who had already been relegated after two initial losses in Group H.
Robert Lewandowski (who was again not seen on the pitch at all throughout the 90 minutes of play) & company managed to end their World Cup campaign on a high thanks to Southampton’s centre-back Jan Bednarek who bagged the only goal of the game on Thursday afternoon, holding Akira Nishino’s side on thin ice. Samurai Blue were, however, lucky to hear that Senegal failed to move on level terms in the other game of the group and they were carefully not to get booked in the final 20 minutes of the game which was enough for a bizarre progression to the knockout stage, Japanese third in history after 2002 and 2010. The Asians will have a mission impossible here given they are up against Belgium who have won all of three group stage matches in consecutive tournaments, matching impressive runs of Argentina and Netherlands in 2010 and 2014. The head coach Roberto Martinez might not be the happiest man in the world following the win over England given the team is likely to face Brazil in the quarterfinal, but if Belgium are to aim for the crown, they have to beat such opponents sooner or later. Roberto Martinez fulfilled his promise to give rest to his main stars in the final game of the group stage against England. He made as many as nine changes to the squad that destroyed Tunisia in the second round. Adnan Januzaj scored his first goal for the national side in ninth appearance. Belgium will have their main stars back in the squad here as we can expect the same starting line-up to the one which play part in the drubbing of Panama and Tunisia. Vincent Kompany should be able to feature for the Red Devils here. 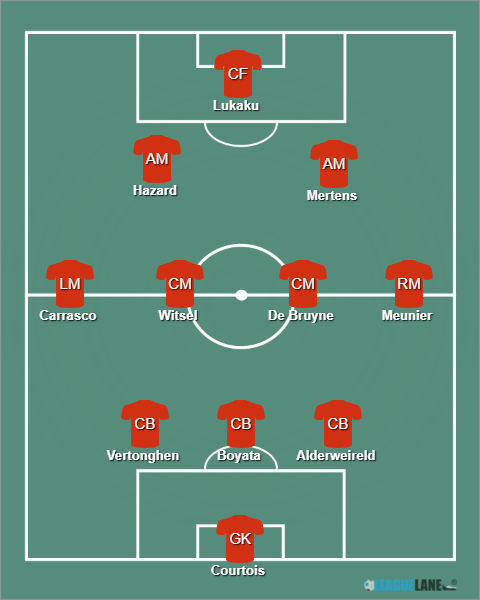 Courtois – Alderweireld, Kompany (Boyata), Vertonghen – Meunier, De Bruyne, Witsel, Carrasco – Mertens, Hazard – Lukaku. Akira Nishino made as many as six changes to his starting XI in the clash with Poland. The risk might have easily knocked Japan out of the competition, but they were eventually lucky to progress on the fair play rule. 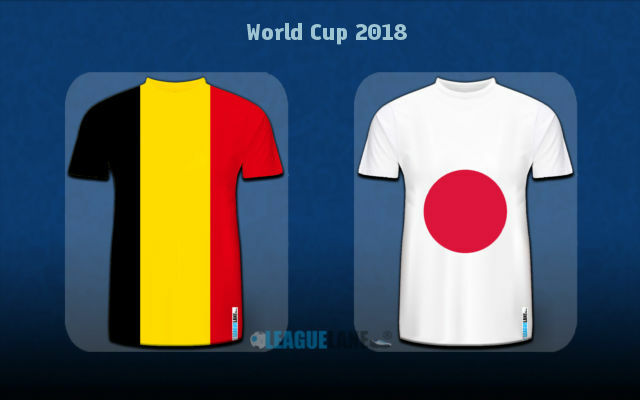 Much like the case is with Belgium, we can expect the Samurai Blue to get back to the same side that won four points in two opening affairs with Colombia and Senegal. 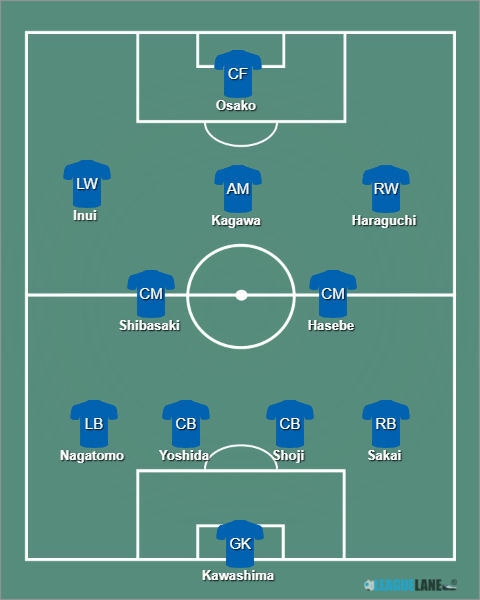 Kawashima – Sakai, Yoshida, Shoji, Nagatomo – Hasebe, Shibasaki – Haraguchi, Kagawa, Inui – Osako. Interestingly, Belgium have only won one of five head to head games against Japan over the course of history. The lone win came in November last year when Romelu Lukaku’s late second-half goal made all the difference for the Red Devils at Club Brugge’s Jan Breydelstadion. Teams’ lone previous H2H tie at World Cups took place in the 2002 edition when they drew their group stage contest 2-2. Interestingly, Japan bagged two or more goals in three consecutive H2H tie with Belgium before the mentioned 1-0 loss in a friendly from November last year. Belgium were thriving in the final third in the group stage bagging as many as nine goals in three matches. They head into this as massive favourites, particularly after Roberto Martinez gave rest to all of his main stars in the last round clash with England. Japan literally need a miracle here as the gulf in quality between the two sides is massive. They failed to score in five of last six World Cup matches against European opponents. Knowing they also failed to find the back of the net in the previous H2H clash with Belgium, we find the value in backing the Red Devils to keep a clean sheet at 1.80. You can obviously also try with the Red Devils to win by two or more goals difference, a bet worth backing at the 2.25 odds. Predicted Full-Time Result is a convincing victory for Belgium who possess much more quality in their ranks. Belgium to keep a clean sheet @ 1.80. Belgium -1.5 handicap @ 2.25. Correct FT Score: 3-0 Belgium @ 9.50.